K-BID has a large network of affiliates interested in selling your assets -- so many in fact, it may feel a little overwhelming! Below are some resources available to assist in your search for an affiliate auctioneer and some more information on the auction process. A directory and map of active affiliates can be found by clicking the photo above. Below are some tips that you can use when choosing an affiliate to handle your auction. Proximity to you. 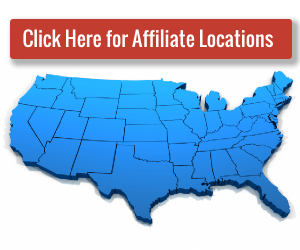 Check the affiliate map on the KIA list page to see the home base for each affiliate. Off-site auctions. Depending on the volume and/or size of the assets you have to sell, it may make more sense for the affiliate to conduct an auction from your location. Many KIAs offer this option to their sellers. Check the ‘Conducts Off-Site Auctions’ column on the KIA list to identify KIAs who provide this service. Experience Conducting Online Auctions. The ‘Start Date’ column identifies the date each affiliate became eligible to conduct auctions on the K-BID.com website. Also review the affiliate’s description of services as several KIAs had a presence in the auction industry prior to becoming a KIA. Auction Activity. The ‘Number of Auctions Conducted in Previous 6 months’ column provides recent auction activity information for each affiliate. To view the actual auctions conducted recently, click on the closed auction link at the top of the affiliate page. Keep in mind that volume does not always equate to the highest sales, but it does give a good indication of experience. Quality of pictures and descriptions. View the actual auction as it was presented on the website by clicking on the closed auction link at the top of the affiliate page. Experience selling similar assets. By clicking on the ‘Closed Auction’ link on the top right corner of the website and then clicking on ‘Advanced Search’ right below it, you will be taken to a page that allows you to do a key word or phrase search. The search results will provide you with the details for any asset meeting the search criteria --- affiliate, auction description and pictures, bidding activity and final sale price, etc.